What a beautiful day, come up for a game and enjoy this beautiful weather. Maree and Grahame would like to pass on their thanks for the wonderful support/cards and gifts they have had from members, they are overwhelmed with your thoughtfulness. Please take note Ladies that the postponed game from the 16th April for WGI Silver Pennants will now be played on Monday 18th June. Also Ladies please take note that the Women’s National Teams at Te Marua is on Friday the 11th May, NOT Friday the 18th May as stated in the programme book. The Course will be closed for the above event until late afternoon. 2019 Bonus cards are here !!!! so come in and pick them up to use when course is unavailable. Last Weekend we hosted 4 of our Interclub Teams, and we were all WINNERS!!!! Division 4 won 10 – 5, Division 9 won 12 – 3 splendid play from Dean Alexander winning 8/7 and Chris Hislop winning 8/6, not so good was Captain Andrew Black playing 1st off and losing on the last hole (he might have to stand himself down the next game) Then we had Division 7 winning 11 – 4, Captain Chris Brooks actually won his game amazingly by 9/7, so probably won’t have to worry about demoting himself next game. Our Ladies also won, plus Division 1 had a narrow lost at Otaki 8/7 which wasn’t a bad result. All in All AWESOME results to all our teams/players. The Ladies MW Interclub played on Monday in horrific conditions at Miramar against Royal Wellington where everyone played really well and we won 5 – 4 – Awesome result Ladies!!! Thanks to Keith Morris who has been doing a bit of weeding and enhancement along #18 You are AWESOME!!! Good Luck to everyone playing Matchplay Championships Round 2 on Sunday. 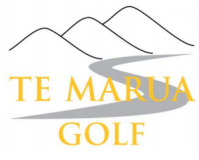 Sunday – Matchplay Championship Round 2 for the men, LGU, Putts, HP S/F for the Ladies. Friday – Course is Closed till late afternoon.